Sompting Abbotts is a leading West Sussex prep school near Worthing for children aged 2-13 in the South Downs National Park. We offer a magical childhood and academic excellence; 30 acres of grounds; swimming pool; first-rate sports facilities. You don’t only have to think about raising your child the best way you can. You have to worry about choosing a school that will be as invested in their future as you are. Yours is a bookworm and perhaps one day they'll write stories as foxy and fantastic as Roald Dahl's? Or is always hunting for bugs and hairy caterpillars and could be destined for a career as an environmental scientist? Or is outgoing and likes performing and it wouldn't surprise you if they ended up centre-stage? Or loves building Lego and who knows what robotic creation they might design in the future? Listen here to parents talk about their children's education at Sompting Abbotts. Many of our parents have hectic working lives and make full use of our free wrap-around care. You can leave your Pre-Prep child (under 8s) in our care from 8am - 4.30pm and Prep-age child (8 - 13) from 7.30am to 6pm. We make no extra charge for before- or after-school care. Sports offered include rugby, football, cricket, netball, hockey, tennis, athletics and gymnastics, golf, squash, modern dance, archery, fencing, orienteering, mountain biking and shooting. Perhaps you feel right now your child’s 'lost in a crowd' at the school they’ve been allocated? Or you question if your own education gave you the confidence to meet your potential? Or you had the benefit of an individualized education and want the same opportunity for your own child? The essential foundations for success get laid down during the first impressionable years of schooling. It’s got everything to do with opening young eyes to the rich tapestry of learning and giving children the best chance in life. Working life for your child will be different to yours. Many jobs are predicted to change or disappear. But your child was born curious and creative. If you can foster that creativity and fuel that curiosity, you’ll inspire a powerful flexibility and love of lifelong learning. "I can't believe how well you know my child ..."
... is something we often hear our pupils' parents say. We limit class sizes to maximum 15. This is to ensure each child gets the one-to-one teacher attention they need to uncover their strengths and weaknesses. But we will always believe that the best apps for your child’s learning are their dedicated and experienced teachers. We provide your child with a fantastic childhood to remember. One that's full of friendships, fun and laughter. Happy children, we know, grow into happy successful adults. With 30 acres of grounds, woodlands and open space, your child will have heaps of opportunities to get immersed in forest-school-style activities and self-discovery. They’ll get to do plenty of the grounding and 'old-fashioned' stuff children love most. Like playing different sports and den-building, spotting squirrels, climbing trees and finding conkers. Most children stay at our school until age 13 – rather than moving to secondary school at age 11. This time allows them to develop greater self-confidence as early adolescents to discover more of 'who they are'. They have the opportunity, too, to take on roles of responsibility as prefects and house captains. Many achieve public school scholarships and move onto a range of leading independents, including Lancing, Brighton and Hurst, as well as high-performing state schools such as Steyning Grammar. But, your child will find no hothouse atmosphere here and no underlying sense of entitlement. We take a truly child-focused approach to nurture each child’s individual talents – whatever they are. Self-confidence is gained from each small success, which leads to more success. So, when you kiss your son or daughter goodnight, you’ll know that you could be putting to bed a future writer, environmental scientist, robotics engineer or performer – or whatever they dream of being. Because you connected the dots between the value of an individualised education and your child's future possibilities. Thank you! We’ll be in touch with you soon to arrange a time that suits you to have a look around the school. Our policy is to keep to our maximum class size limit to ensure our pupils receive the individualised education we provide. Some year groups are full and have a waiting list. Please contact us regarding availability. Is your child academic, musical, arty or sporty? Every year the school makes a number of merit-based scholarships and needs-based bursaries available. Places are limited. The Sompting Abbotts Assisted Places Scheme was established to broaden access and help able children take full advantage of an independent education whose parents might otherwise have not been able to afford it. The nursery is close to Worthing, Steyning and Hove. It accepts the 30 hours Free Entitlement for all eligible 2, 3 and 4 year olds. It offers "some of the best outdoor play facilities in Sussex". All our nursery children enjoy regular forest-school lessons held in our own woods and grounds. Knowledge, creativity, curiosity, agility, determination and insight. These are the qualities we inspire in our children at West Sussex independent school, Sompting Abbotts. 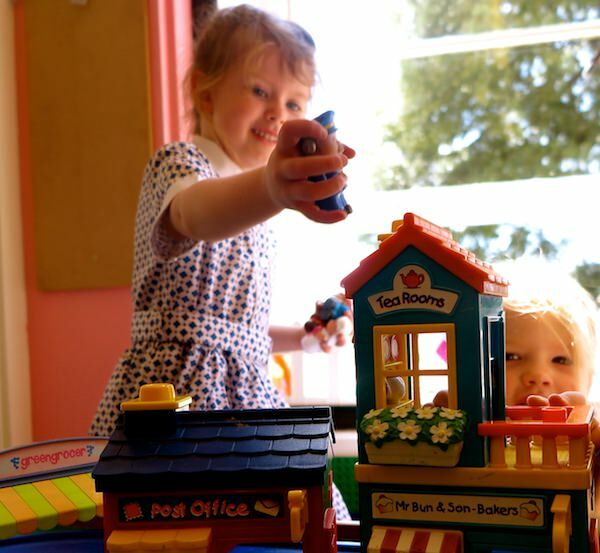 Sompting Abbotts Preparatory School is an independent school near Worthing and Steyning that welcomes children aged 2-13. Ours is a family-owned country school set amidst the South Downs National Park. It has 30 acres of open grounds, a heated swimming pool and excellent sports facilities. The school prides itself on giving its pupils a magical childhood while developing their full academic potential and nurturing all their different talents. Sompting Abbotts Prep School is proud of its record of scholarship achievement to leading senior schools. As an independent stand-alone prep school, the school has the freedom to prepare your child for the educational path that best suits him or her. The school provides small class sizes, quality 'rounded' teaching and an outstanding educational experience. Wrap-around care is free. Écoutez-nous chanter d'une manière exquise en français! (Listen to us singing beautifully in French!) Did you know that learning a language from an early age can boost overall academic achievement? Here's how it's done at Sompting Abbotts where children begin learning French via music and song right from age 2. The children work far beyond the National Curriculum so that by Year 8, many are working at GCSE-level French. At Sompting Abbotts, we put a lot of emphasis on the performing arts. In different ways, we try to boost our pupils’ confidence and communication skills because we know these will be invaluable to their lives ahead. We know that if a child has the skills and self-esteem to speak aloud and ‘command’ a stage (even if that’s talking to a group of future colleagues), they’ll be well-equipped to succeed ahead. Sompting Abbotts is a historic West Sussex prep school within easy reach of Worthing, Steyning, Hove and Shoreham-by-Sea. It was founded in 1921 and has been run by three generations of the Sinclair family. It welcomes boys and girls aged 2 to 13 years.